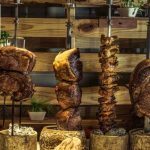 Highlights Experience Brazillian dining with the best-selling Friday brunch at Chamas Churrascaria & Bar, inside the 5* Crowne Plaza Dubai from AED 229 Choose from the below options: Option 1: Friday brunch with … see more.. Highlights Feel the season of prayer and giving. Have an Iftar buffet with unlimited Ramadan beverages at Signature 1 Hotel, Tecom from AED 55. Child option available Choose from the options below: … see more.. 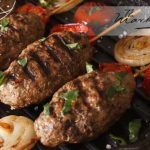 Highlights This Ramadan, stop worrying about what to cook! 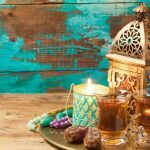 Go for a flavoursome Iftar buffet with Ramadan beverages at City Stay Beach Hotel Apartment RAK, from AED 69 Choose from the options below: … see more.. 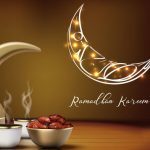 Highlights Embrace the spirit of Ramadan; indulge in a delicious Iftar with your family at Nuevo, Premier Inn Dubai Ibn Battuta Mall Hotel from AED 79​ Choose from the options below: Option … see more.. 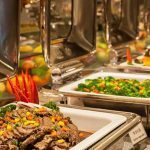 Highlights Iftar buffet with unlimited soft drinks from Ramada Chelsea Hotel Al Barsha from AED 79 Choose from the options below: Option 1: Iftar buffet with unlimited soft drinks for 1 adult for AED 79 … see more.. Highlights Eat together with your family on this Holy month! 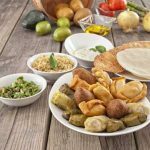 Enjoy a variety of international dishes at the delectable Iftar at Holiday Inn Dubai – Al Barsha, from AED 87 Choose from the … see more.. 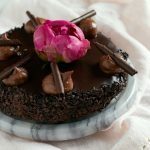 Choose from Three Options AED 50 for 0.5kg of cake (50% off) AED 80 for 1kg of cake (60% off) AED 145 for 2kg of cake (64% off) Choice of cake includes: black … see more.. Highlights Well-spent Fridays happen at the 5-star Ghaya Grand Hotel. 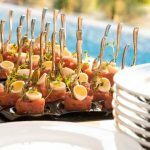 Enjoy the Friday brunch with swimming pool access for only AED 79 per person Deal Includes:– 5 Interactive live cooking stations – Chinese, Sushi, Indian, … see more.. 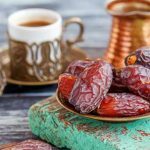 Highlights Indulge in a traditional Iftar experience prepared by the award-winning team at Jood Palace Hotel Ramadan tent for AED 99 Specifications: – Iftar buffet in a special Ramadan Tent – Ramadan Juices and … see more.. Highlights Looking for a place to break your fast? Have a Suhoor or Iftar buffet at the 4* Reflections Hotel from only AED 32! 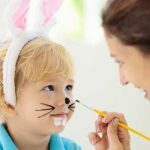 Available up to 4 adults with child options Choose … see more.. Highlights Have some International, Arabic dishes and more when you break your fast at Studio M Arabian Plaza. 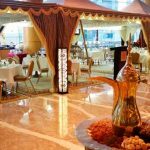 Iftar buffet with Ramadan drinks from AED 79 Choose from the options below: Option 1: Iftar … see more.. Highlights Break your fast out of town. International Iftar buffet from Ras Al Khaimah Hotel starting from AED 59. 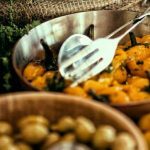 Child option is also available Choose from the options below: Option 1: International Iftar buffet … see more.. Highlights Make this Holy Month super special with a unique Iftar experience at Arabian Park Hotel. Enjoy traditional Ramadan dishes and more for AED 55 per adult and AED 27 per child … see more.. 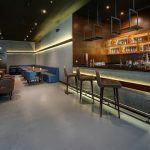 Highlights Visit the 5-star Crowne Plaza Dubai – Deira this Ramadan! Enjoy an Iftar buffet for only AED 119 per person and get a chance to win tickets and a hotel stay! … see more.. Highlights Have a delightful Iftar with Lebanese & International delicacies at Bazerkan Restaurant, Dubai Marina this Ramadan for just AED 74 per person. 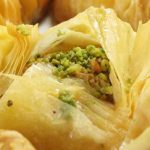 The buffet features a wide variety of Lebanese, Arabic, … see more.. 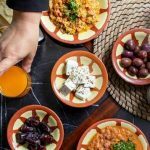 Highlights This Holy month, go for a delectable 4* Iftar at Moka Café Restaurant in Villa Rotana, for only AED 79 Iftar buffet includes: – Traditional and modern Arabic delicacies – A … see more.. Highlights This Holy month of Ramadan, enjoy a delicious Iftar buffet at BurJuman Arjaan By Rotana for AED 49. 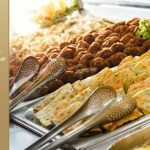 Ramadan juices included Buffet includes: – Unlimited soft juices and Ramadan juices – … see more.. 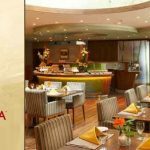 Highlights Create unforgettable memories with family & friends over a delectable Iftar buffet at Marina Byblos Hotel for AED 74 Iftar buffet includes: – Salads, soups, appetizers and main courses – A … see more.. Highlights Have a grand Ramadan celebration with a delicious Iftar buffet from Cassells Al Barsha Hotel, from AED 33. 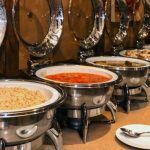 Two different menus available Choose from the options below: Option 1: 33 Items Iftar buffet menu … see more.. 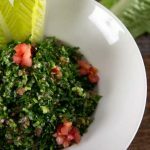 Highlights Iftar buffet at Bazerkan Restaurant, Barsha Heights for AED 62 Buffet includes: – A wide variety of Lebanese, Arabic, International and Continental dishes – Salads, soups, appetizers, grills and many other … see more.. 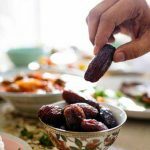 Highlights Indulge in an amazing Iftar buffet at Capitol Hotel, Bur Dubai during this holy month of Ramadan for just AED 69 per person. 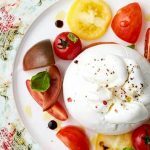 This Deal includes: – Salads, soups, appetizers and … see more.. 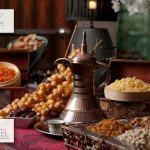 Highlights Celebrate the holy month of Ramadan with an amazing Iftar buffet at 4* Byblos Hotel for AED 69 The buffet includes: – Salads, soups, appetizers and main courses – A large selection … see more.. Highlights In the spirit of Ramadan, enjoy an Iftar set menu at Mugg and Bean for 1, 2 or 4 people starting from AED 75. Valid at 4 locations! Choose from the … see more.. 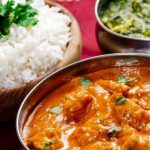 Highlights Cherish the holy season with Indian and Pakistani Iftar buffet at Chicken Tikka Inn for AED 39 per person. Valid at 5 locations! 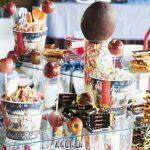 Buffet includes: – Variety of snacks and salads … see more.. 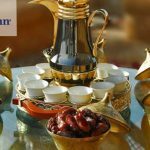 Highlights Gather your family and friends and enjoy a delicious Arabic and Indian Iftar buffet OR Eid brunch at Hilton Garden Inn, Al Muraqabat for AED 69 only Deal includes:– Arabic mezzah – … see more.. Highlights Break your holy fast with an International Iftar buffet from Signature Hotel Apartments & Spa Marina for AED 49. 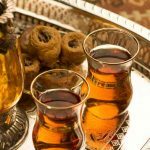 Ramadan drinks included Buffet includes: – International Iftar buffet – Traditional Arabian … see more.. 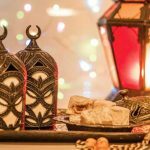 Highlights Have the perfect way to break your fast – an International Iftar buffet at Lotus Downtown Metro Hotel Apartments for AED 49 per adult and AED 29 per child Choose from the … see more..